One of my customers in London, England said that she wants to visit Vancouver and asked about where some good places to go are. I realized that I talk about some places I have traveled to, but not too much about where I live. I thought I would do a little series about my favourite, and often free, places to go in Vancouver for those interested. 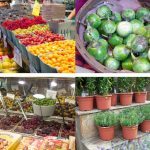 I actually wrote a couple of posts about Granville Island and The West End a few years back, but I haven’t really added more places since then. 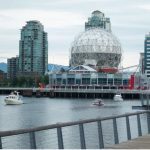 One of my favourite places to go is the Vancouver Convention Centre, located at the north end of downtown right by the waterfront. It’s located by the white sails that you see in the photo above (bottom left). If you’re going by public transportation, this is a very easy place to get to. You get off at Waterfront Station (last stop westbound) on the Expo Line when taking the skytrain, our version of an above ground subway. 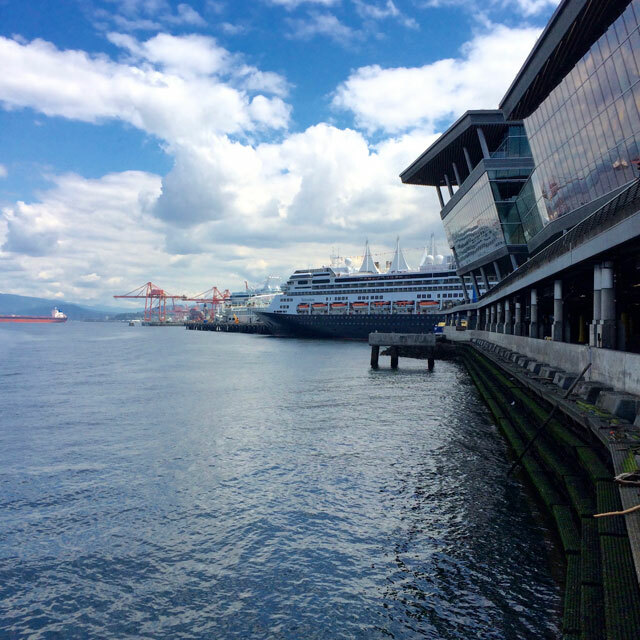 The Vancouver Convention Centre is also Vancouver’s cruise ship terminal. 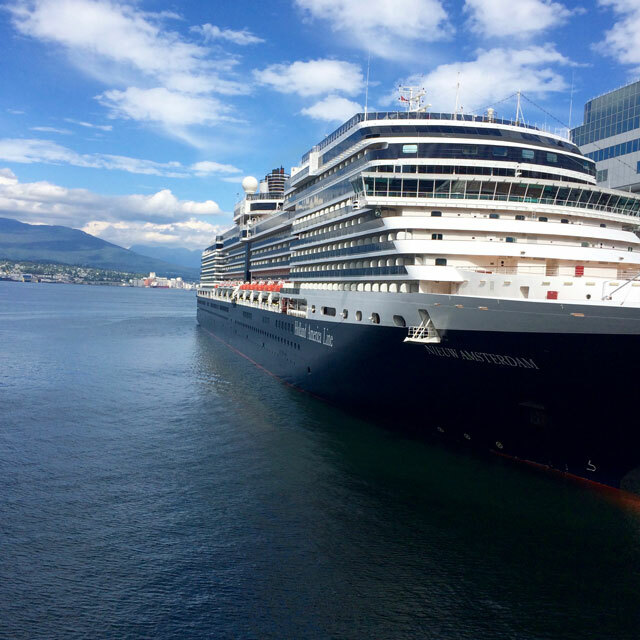 This is our major port if you’re taking a cruise to Vancouver, of course, or if you’re embarking on a journey along the Pacific Ocean. Going north to Alaska is very popular from here or south to Seattle, San Francisco and Hawaii. I love seeing these beautiful ships dock. There are so many groups of people from all over the world, excited about their explorations. I’ve never been on a cruise. I get motion sick and am a bit claustrophobic. I know it’s a big ship, but the fact that I can’t get off it for days scares me. At least with flying, I know I’ll be off the plane in a certain number of hours. A travel agent once told me, “You haven’t lived until you’ve gone on a cruise.” I guess I haven’t lived to that extent…lol. Anyhow, for now I’ll just imagine how grand it is to be on a cruise ship. This picture is of the backside of the convention centre. A few years ago, I was a vendor at an artisan gift show called Circle Craft . The logistics of getting in, setting up and getting out of the convention centre is an art in itself. I used to work in transportation logistics (FedEx), so it was pretty interesting and exciting stuff for me to see how it’s all done. This backside of the convention centre is where a lot of the logistics happens. The orange cranes in the picture is where the Port of Vancouver is. That’s our major shipping hub for anything coming in by sea. I can sit by the waterfront all day long, if I had that kind of time. On a nice sunny day, you can just come down, have lunch, breathe fresh air and enjoy the scenery. 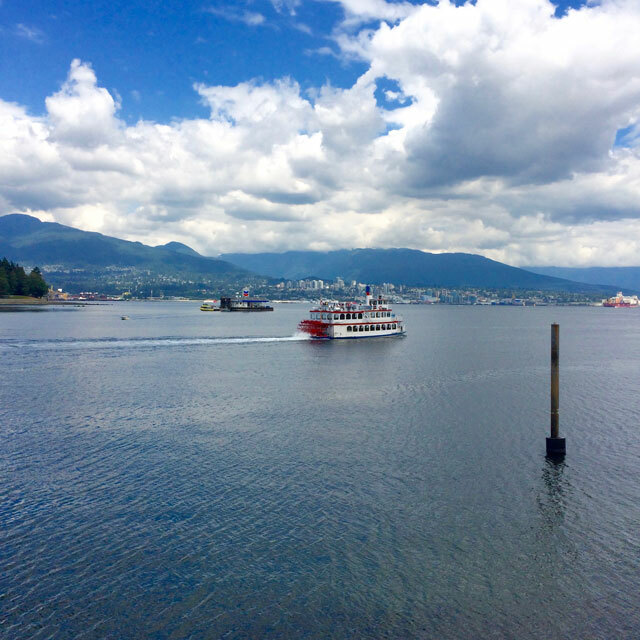 Across the water is North Vancouver, a separate municipality. If you get over there (about 15 minutes) and drive about 2 hours or so northwards, you will reach Whistler Mountain. 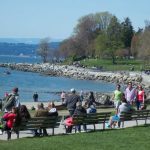 People who like the outdoors usually find a lot of things to do in North Vancouver; skiing and snowboarding in the winter, hiking in the summer, camping, biking. On the far left where the trees are is Stanley Park. It’s a huge park in the city. I must say, it’s better than Central Park in New York. Pretty much everyone that lives and visits Vancouver goes to Stanley Park. I’ll post photos and blog about that another time. Hope you enjoyed this post. I’ll try to update this series more often. Thanks!